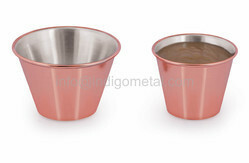 Royal Silver Sauce Boat, Size: 8" X 3.75" X 3.5"
Size: 8" x 3.75" x 3.5"
we are the best suppliers. Due to our prosperous industry acquaintance, we offer Chutney Cup. In addition, quality checkers check these products on diverse industry norms to make sure the robust nature. 1.5oz, 2oz, 4oz, 6oz, 8oz, 12oz. 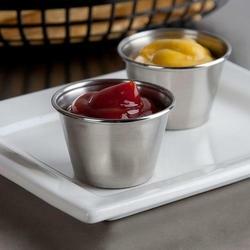 We have attained huge appreciation amongst our clients for providing an exclusive range of SS Sauce Cup.